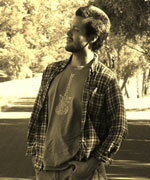 Daniel Landin is an aspiring writer-director who has worked on several short films. He has studied film production at Riverside Community College and most recently at the University of Southern California. He is proud to be a part of this project.